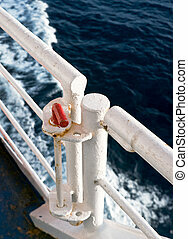 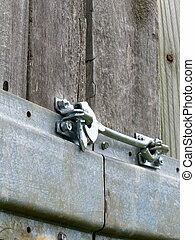 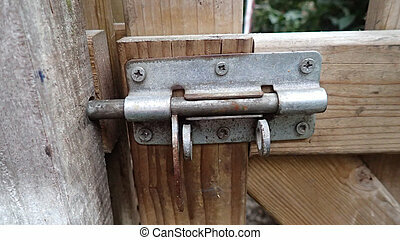 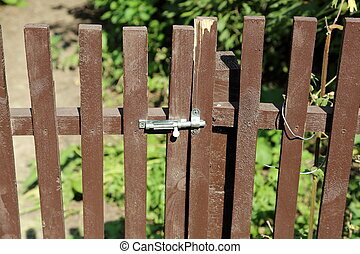 Fence latch. 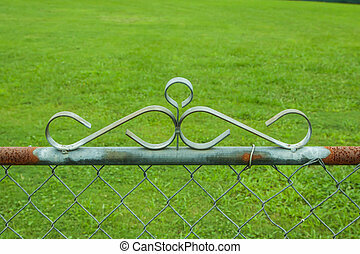 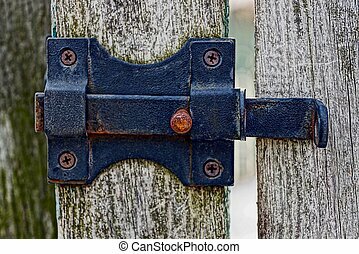 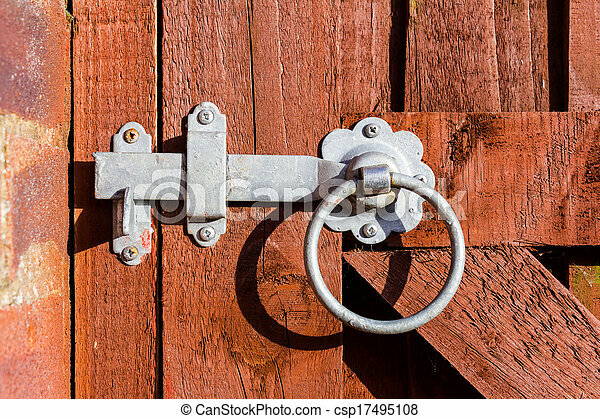 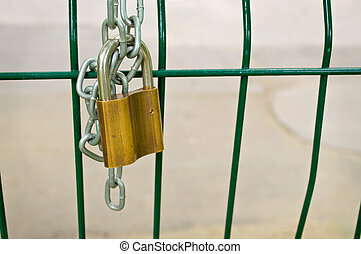 A fence latch on a brown gate. 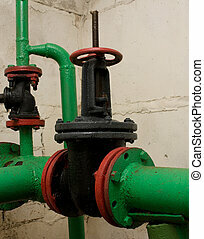 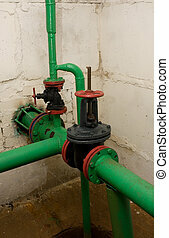 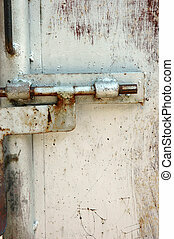 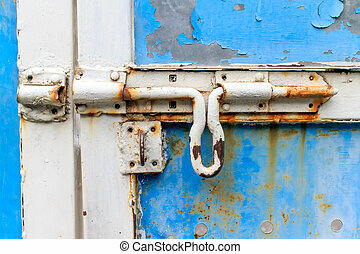 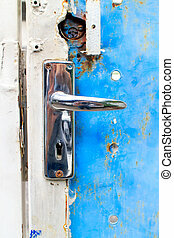 The old rusty latch of the home door.